Big wild cats are so graceful and beautiful! Natural strength and beauty of these animals is amazing. 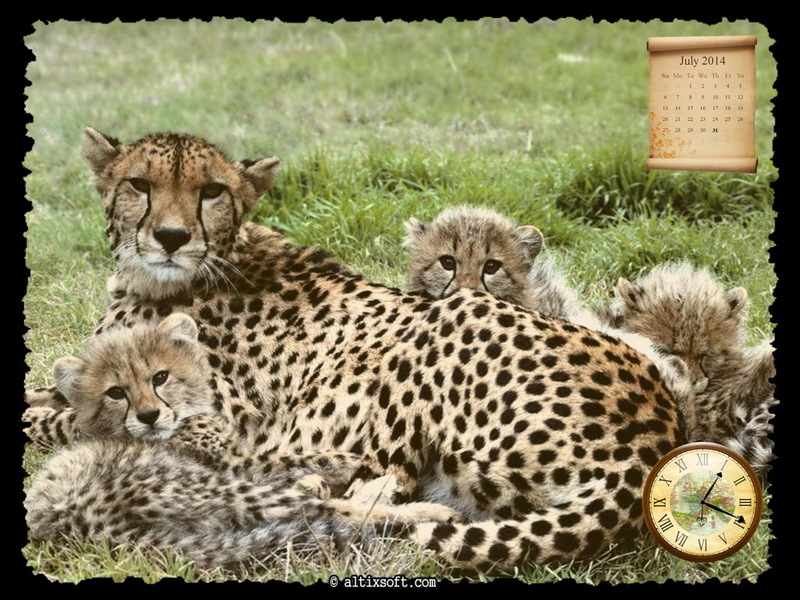 Cubs and adults – they are all lovely and people want to constantly look at these earthly creations. 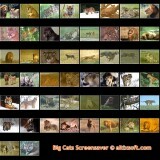 A life of greater and wild cats on your screen! This screen saver contains 50 amazing images. Saver is set automatically to fit them to your own screen size. 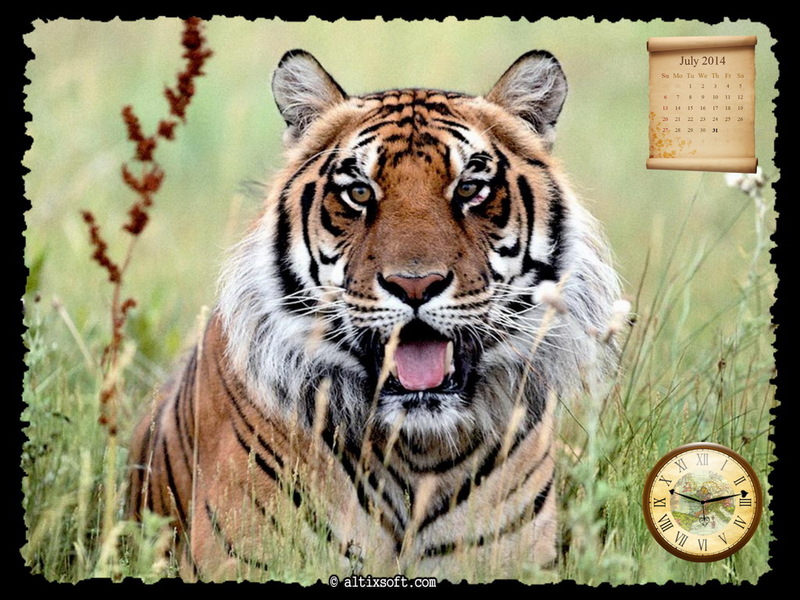 Sound background includes 5 nature wild sounds. 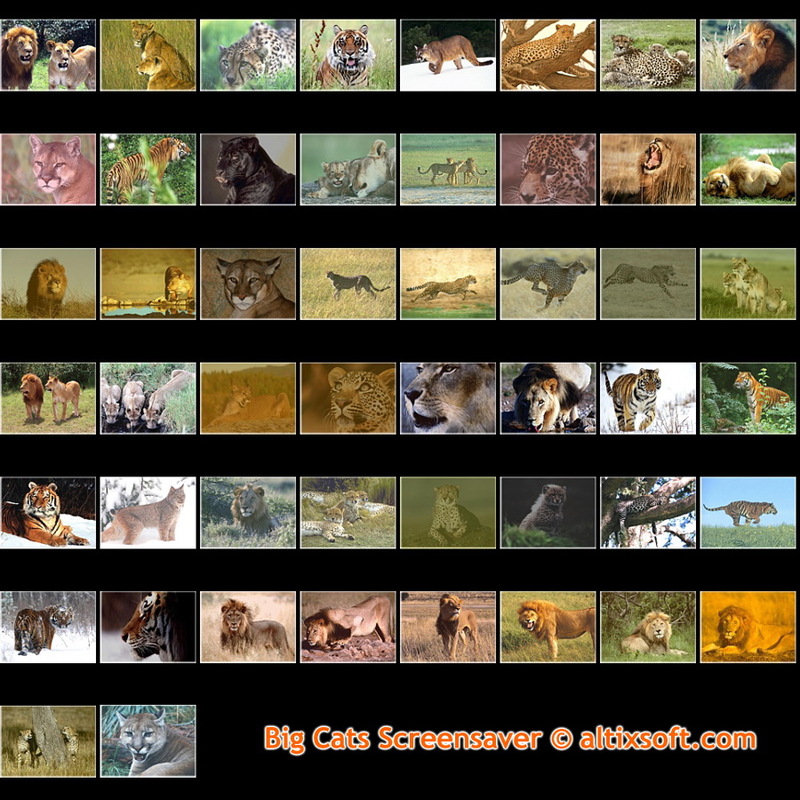 The evaluation version of this software is shows only 15 images for 14 days. Below are three of the images included in the screensaver. Click on an image to see it full-sized. Copyright notices are shown only on these screen shots, not in the screensaver. If you wish to download this screensaver, please click on Download button above. BUY ONE, Get additional versions of FREE! Buy this screensaver, and you can get all updates versions – free. To learn how to purchase this screensaver or for more details about registration, please visit our Purchase page. To obtain technical support, select “Support” on the top menu.